25 January 2014, New Delhi: The second season of Hero Hockey India League was inaugurated in a dazzling ceremony at Mohali today. Nitin Kukreja, Head of Sports Business, Star India pronounced the League 2014 open to a crowd packed stadium at Mohali. The trophy was unveiled to the city crowd by Olympian Sd. Pargat Singh, MLA, Government of Punjab and Secretary Hockey Punjab. 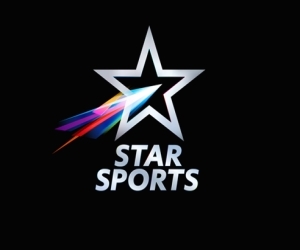 Broadcased live by the official broadcasters of the League – Star Sports, the opening ceremony included all the required fanfare and masala, with Nargis Fakri, the Bollywood stunner of Rockstar fame, sizzling on famous lilting numbers like Balam Pichkari and Radha. Her performance was preceded by astounding laser show that covered the Mohali sky. Gaurav, the mascot for Hero HIL also made his presence felt waving to the crowd during the opening ceremony. He represents the pride that is associated with Hockey in the country. The laser show depicted a short montage on Hero Hockey India League and the six franchisees. It showed the first edition of Hockey India League with its results, goals scored by various players, the crowds that viewed the match LIVE at the 5 franchise stadiums and the first Champions lifting the trophy of Hockey India League – Ranchi Rhinos. The excitement for the evening continued with US artists performing Human Slinky which was a colorful as well as a comical and high-energy act which left the crowd and viewers mesmerized. This was the first time such an was performed in India. The ceremony ended on a high note and with a promise that Hero Hockey India League will be as entertaining and high voltage as its opening performance.